The new Aussie Black Box is a portable, single phase, compact high pressure water blaster which is simple to use and easy to store. Smart cleaning operators that use pressure washers are looking for a simple, no fuss unit that will cut cleaning times. 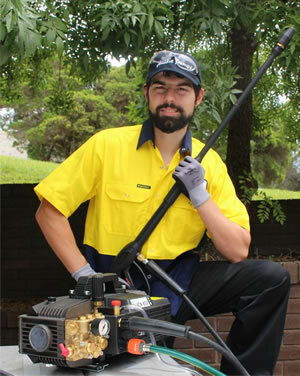 Australian Pump recognised the need for a compact powerful and portable pressure cleaner with professional performance without breaking the bank. They have released a new single phase high pressure washer that is claimed to get cleaning jobs done faster, safer and more economically. Called the “Aussie Black Box”, the portable, single phase machine is a pro blaster for the price of a domestic unit. Built to Aussie Pump’s standards, in Europe’s foremost pressure cleaner plant, the Black Box delivers 2,000 PSI and 8 lpm flow. “The Black Box is an ideal portable pressure cleaner for the cleaning industry. 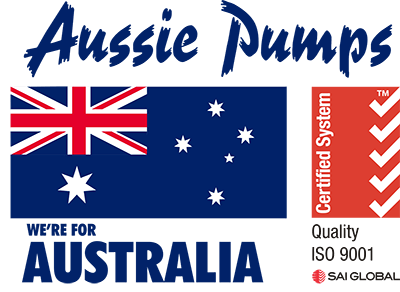 It’s compact, easy to store, and ready to go anytime,” said Aussie Pump’s product manager Steve Burns. “No fuel, no fuss. Of course, it is not designed for cleaning the harbour bridge but for small clean-ups or where noise is an issue, this is a normal 10 amp ‘plug and go’ blaster,” he said. The Aussie Black Box is compact and easy to manage, ideal for tradies and commercial wash down applications. It offers the heavy duty features of a more expensive professional unit. The motor is a single phase 2.6kW, 1450 RPM, slow speed 4 pole induction motor with integrated thermal protection! The pump end is a close coupled triplex pump made to the highest European standards. That means it includes ceramic pistons, a brass head and an integrated pressure gauge and thermal dump. The thermal dump protects the machine from being run continuously with the gun shut. High quality accessories include an 8 metre wire braid hose, pro gun, Vario lance and bonus turbo lance. The Vario lance enables the operator to adjust the pressure of the jet from high to low and the spray angle with just a twist of the wrist. The bonus turbo lance is used for stubborn stain removal. It uses a rotating pin jet nozzle to increase the effective working pressure of the pump to 3,400 psi. What makes the Black Box truly versatile is the number of high pressure accessories that enable users to tackle a range of cleaning chores fast with the minimum amount of water. These include the unique Aussie Tri-Kleener for fast cleaning of paths and kerbs. It attaches in place of the lance. Its three nozzle jets work simultaneously to give a streak-free finish three times faster than using a single lance. The user can select the nozzle height with a simple ratchet system, to control splashback and applied pressure. Easy to manoeuvre, the Aussie Tri-Kleener can clean right into corners, around obstacles and into tight spaces. For the DIY enthusiast and contractors looking for mobility the Aussie Black Box can be mounted to an especially configured steel trolley. The two-wheeled trolley can be fitted with an optional hose reel with a 15 metre wire braid high pressure hose. The reel facilitates storage of the long length hose, reduces the associated trip hazard, and protects it from abrasion. For further information on the Aussie Black Box and accessories that suit check out our High Pressure Water Cleaners – Cold Water Blasters page or call on 02 8865 3500.